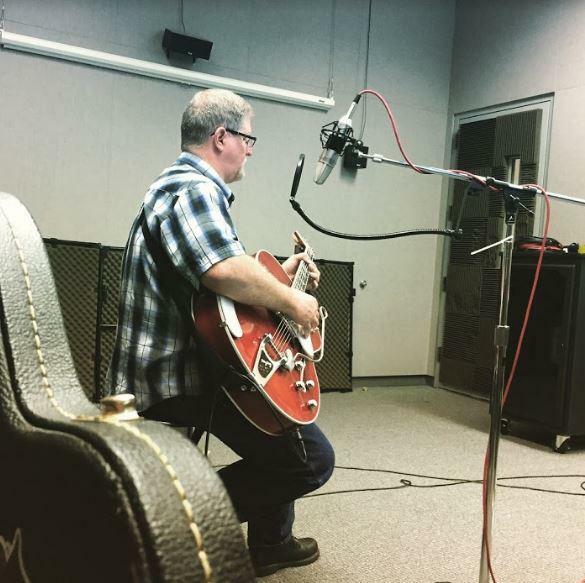 For Randy Buckner, the sounds of Merle Travis’ guitar picking would fill his grandparents’ home on North Grant Avenue, where he spent the week from time to time when he was a young child. These records were a pivotal point for Buckner’s music. At 9, he picked up his first guitar. By the time he was 15, he had the opportunity to join Travis onstage. 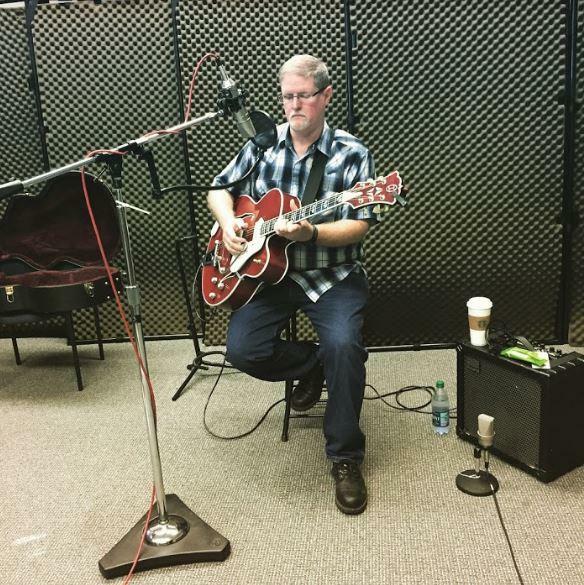 Buckner has taken the art of thumbpicking the guitar and mastered several different styles. 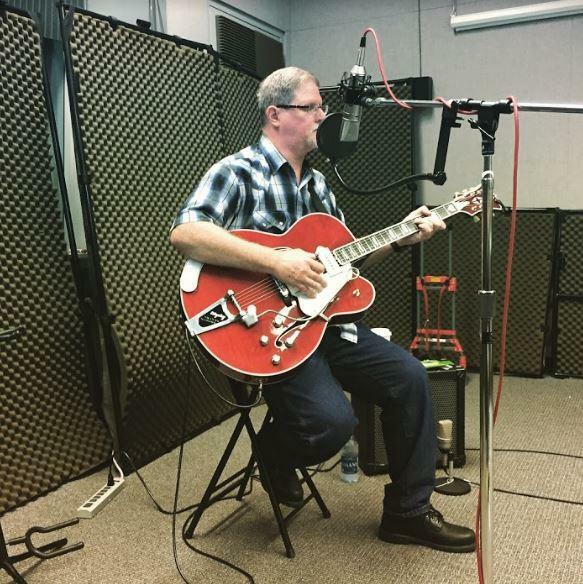 In the KSMU studio, he showed hosts Randy Stewart and Jess Balisle the difference between Merle Travis and Chet Atkins styles. Buckner is a natural educator, teaching music lessons on just about anything with strings at Hoover Music six days a week. He also participates in workshops and contests at the Merle Travis Thumbpicking Weekend in Mountain View, Arkansas. 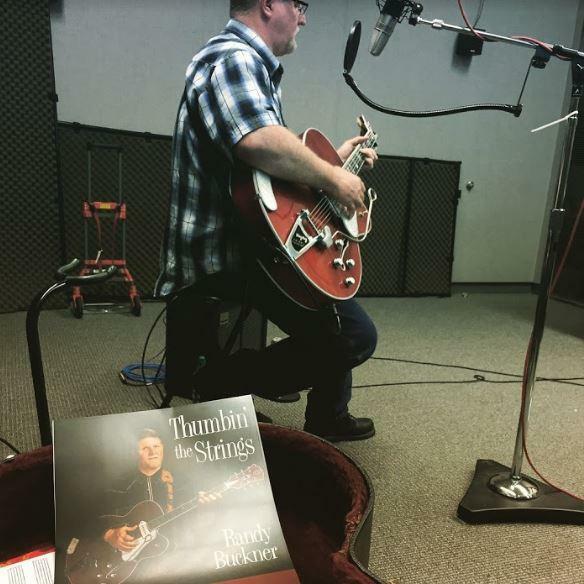 In 2017, Buckner released this album Thumbin’ The Strings. He played several songs from it during the radio show. For Studio Live Social Hour, Buckner was joined by the other two members of his band 83 Skidoo, Donnie Kraft and Kristi Merideth. They strayed from their usual jazz-swing takes on 80s classics and focused on old Western swing and other classics. To many people in Springfield, Molly Healey is known as a fiddle player. 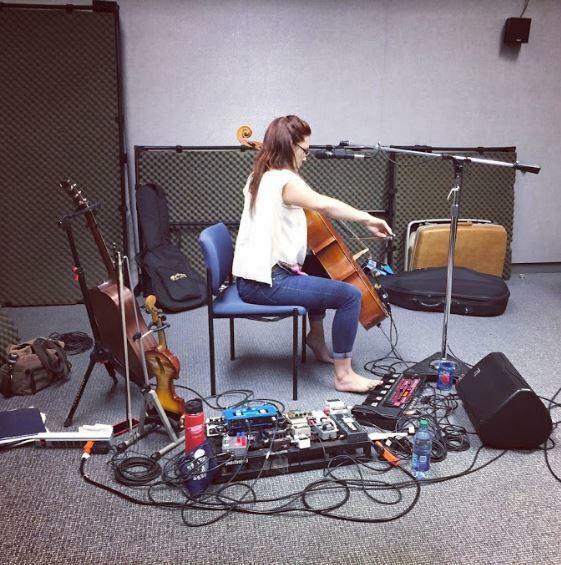 Over the last few years, she has developed her style into folk-inspired orchestral looping. She uses a looping pedal to overlay different instruments and rhythms, creating a sound that feels like an entire ensemble rather than just one musician. On Studio Live, Healey demonstrated how she creates each sound – layering them one at a time, to build up an impressive wave of music. She performs without shoes, in order to work the array of pedals with her feet, much like a pipe organist would do. Traditional Ozarks music is steeped in old fiddle tunes from the British Isles, France, Germany, and French Canada, among other places. Over time, the style evolved, giving us bluegrass. 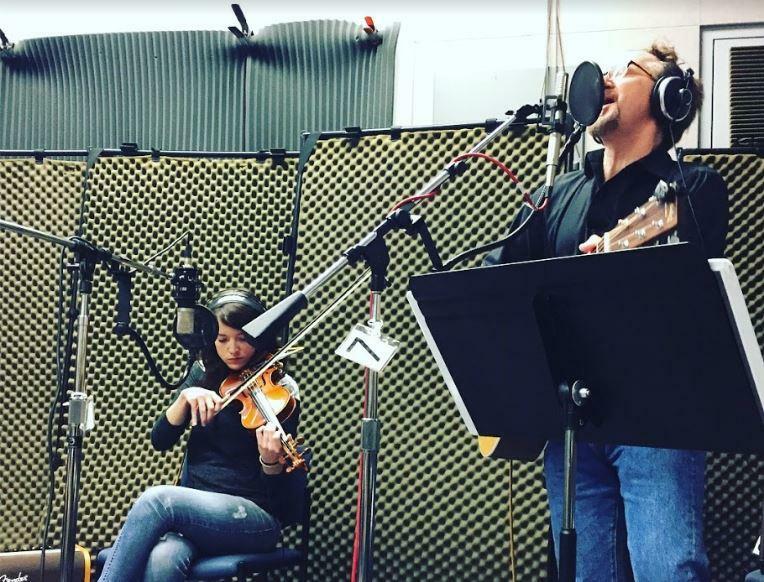 According to Roger Matthews, if you boil down a bluegrass band to its core, you are left with Fiddle and Banjo – the name of KSMU’s Studio Live group for July. Fiddle and Banjo is Michael Smartt on fiddle and Matthews on banjo. 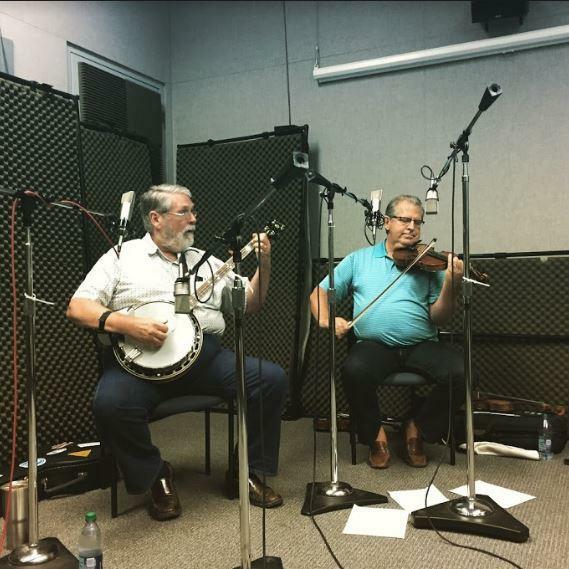 The duo shared several old-timey tunes with hosts Mike Smith and Jess Balisle, along with a history lesson about each song and the genre it came from. 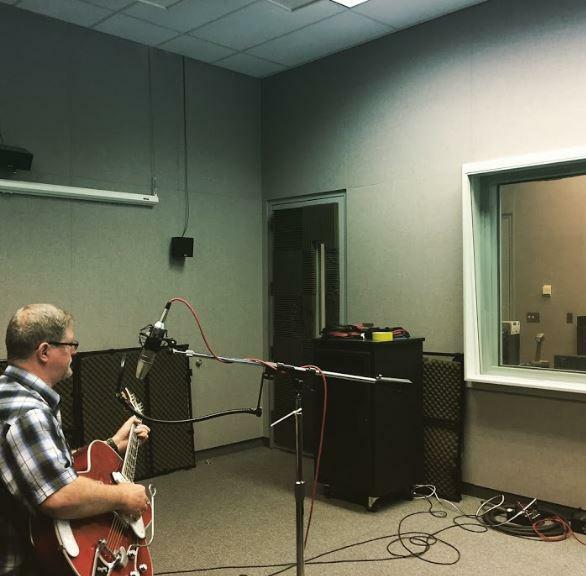 Andy Havens was in the Studio to perform original songs with his backing band - Johnny Strickler on electric guitar, Larry Cataldo on bass, David Nace on drums, Alisha Thomas on violin and backing vocals, and Kat Rueda-Lynn on backing vocals. 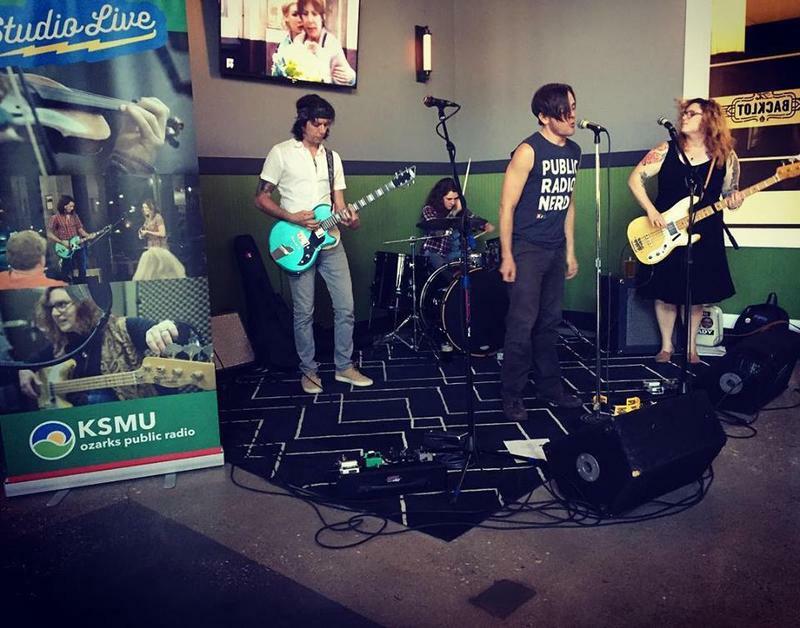 The Hook Knives (Ran Cummings, Mike Henderson, Alisha Schroeder, Jessica Balisle) were on Studio Live with their unique blend of original tunes. The band then played Studio Live Social Hour at the Backlot. 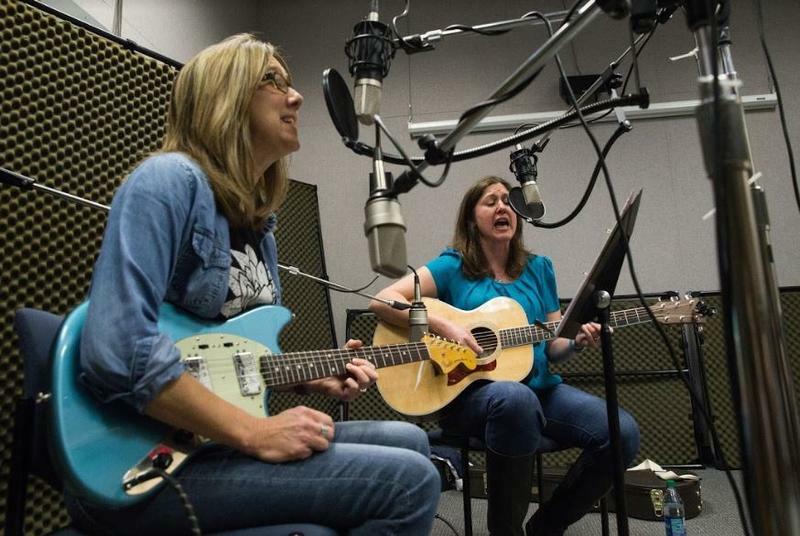 The Shandies, Shannon Stine and Natalie Wlodarczyk, were in the studio with Randy and Jess to discuss songwriting, musical backgrounds and current projects. Their debut album "Begin Again" was released in June 2017 and the duo performed several songs from the album, as well as new ones that have yet to be recorded.